Only 24 hours in Oxford MS, but I got out to The Square a couple of times. 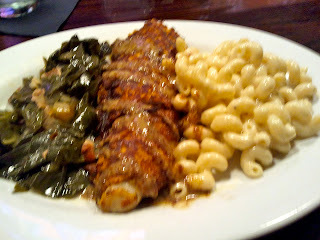 Last night I actually got out to a new restaurant, McEwen's and my meal was top notch. That is sweet potato-crusted Mississippi catfish with creole mustard, Gruyere mac & cheese, and the best spicy collard greens I've ever had. And while I almost always stick to wine or beer with my meal, I had a "when in Rome" moment when I looked at the blackboard. 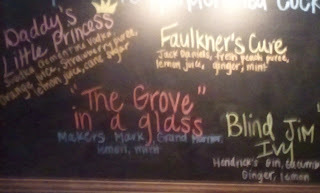 Yes, "The Grove In A Glass" was just as sweet and southern a cocktail as you would expect. Some of the other options were "Daddy's Little Princess," "Faulkner's Cure," and "Blind Jim Ivy." 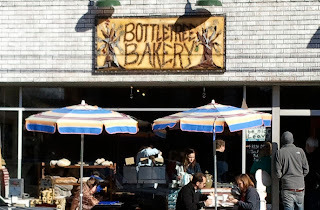 So after I recouped and got to my 5:45 AM (CT) call time, I managed to make it back to The Square for lunch (TV people will always call it lunch whether it's 9 AM or 5 PM) at one of the best breakfast/sandwich joints in the country, The Bottletree Bakery. It was just as packed as you might expect for a Saturday morning at a place that Oprah once recommended, so I had to take my coffee and breakfast croissant to go. On the job, the Ole Miss Rebels defeated Arkansas without drama and went to 4-0 in the SEC for the first time since 1937. The drama was in the truck after a 25-minute 1st half power outage put a number of our flights out of Memphis in serious jeopardy. 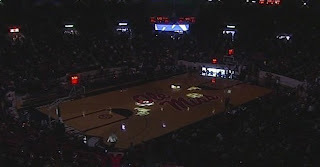 Yes Mississippi has indoor plumbing, but it still takes 20 minutes for the lights to come on after a power surge. Fortunately we didn't go to OT like both teams had earlier in the week. And the small amount of time spent in Oxford was well backtimed.